I’ve recently stumbled upon a really great paleo blog, Taylor Made it Paleo. Not only is Taylor totally adorable, but she also makes some pretty fun treats. 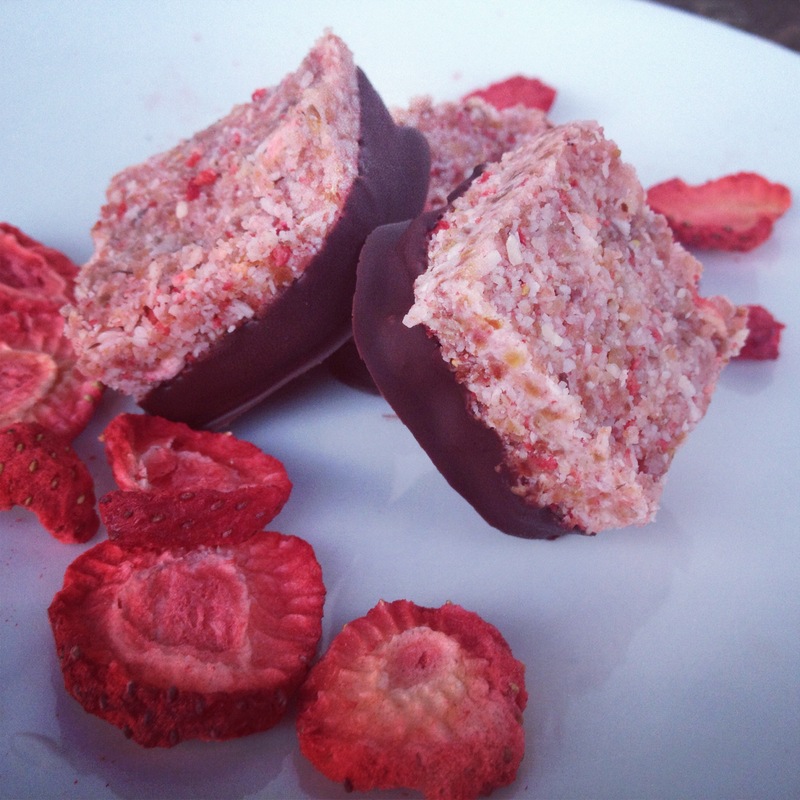 Paleo treats! Go check her out. I made her Strawberry Coconut Bars… and then I dipped them in chocolate 🙂 Why the heck not?! and THEN I made them with raspberry and dipped them in chocolate again! WHAAAAT? Craziness. I know. 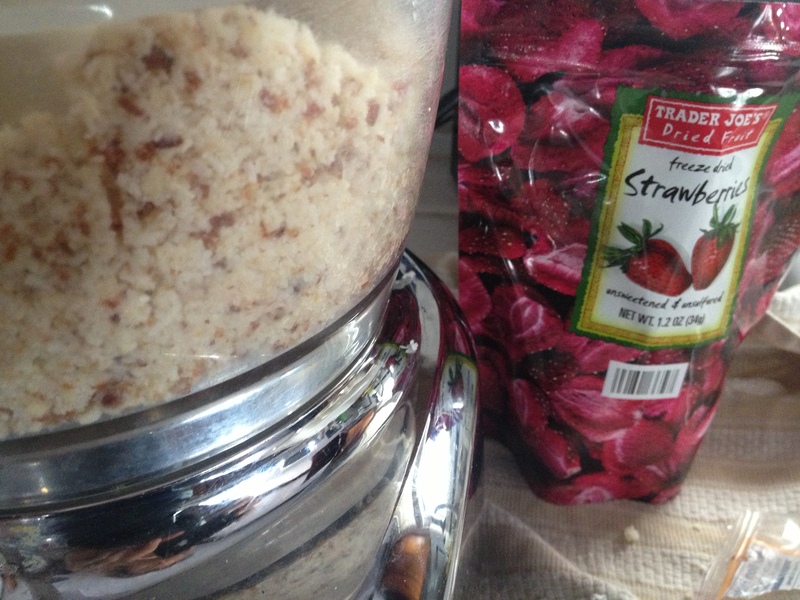 Both we delicious and I’m sure you could do the same with all kinds of freeze-dried fruits. Mango, Blueberry, pineapple…. the world is your coconut bar. Make sure you use your leftover melted chocolate to make some almond, walnut, or macadamia bark! In a food processor combine almonds, coconut butter, and coconut flakes. Add dates, salt, and vanilla and combine thoroughly. Release from the tupperware onto a cutting board and cut into squares. Dip squares into melted chocolate and set on waxed paper. Chill or Freeze until ready to eat. I am Nick Ospina’s mother and I haven´t forgotten the wonderful cooking class you gave me last year. I just finished making this recipe which my daughter and her husband really love. You will not believe, but I have done every recipe so many times, by now. I enjoy them so much. I hope you are well.